Along with these things, France is enjoyed and well-known for its cuisine and wines. It is easy to say that French people love to cook and love their food. Meals in France are joyous, long events with families drawn close together for conversation. The typical French meal offers three to four courses which includes cheese before dessert. All meals are accompanied by freshly baked breads and wine. Popular foods in France include chicken in a red wine sauce, known as Coq au vin and sea scallops cooked in butter, or Coquilles Saint-Jacques. The food that is actually on the menu can also be quite diverse and vary according to the region of the country in which you are located. People in France are courteous and very formal. People in the country are also known for being chic, taking great pride in their personal appearance and clothing. Some countries view France as an arrogant country because of these characteristics, although those in the country attribute this to simply being fashionable and cautious of the appearance. There are 22 official regions located in the country of France. Each of these regions are subdivided into departments. Brittany and Normandy lie on the far northwest corner of France. This region is distinct, with a jagged coastline of wide bays and granite cliffs. Those who reside in this region consider themselves separated from the rest of France. The dialect is Breton, and you will find Lower Normandy and Upper Normandy also within this region. The countryside in this region is simply amazing, and those visiting will find mile after mile of unspoilt countryside. Rain is common in this region, with cooler weather in the winter months and a variable climate throughout the year. To the southern border of Brittany and Lower Normandy you will find Pays-de la Loire. This region is spectacular and lush with amazing scenery, including the dramatic Atlantic coast where delightful beaches and waters can be found. The climate in this region offers the best of temperatures, with warm summers and mild winters. The southern region of France is a popular area. It is extremely busy and one of the most expensive regions in the country. It is also hot. Despite these things visitors come from far and wide to enjoy the scenery that is offered in the region. Lavender fields are popular throughout the southern region. The Rhone-Alpes, sits to the north of the Mediterranean coast. It is home to the French Alps which everyone knows is a popular area for tourists as well as locals. The area is filled with dazzling resorts available throughout the year and those in the region can take advantage of any number of activities with skiing ranking as a particular favourite. Mountains are plentiful in the region, just as they are in The Pyrenees in the southwest. The centre of France is truly where the heart lies. It is a peaceful, quite region. Auvergne is located in the heart of France, and still remains one of the least densely populated areas of the country. There are no coasts or national borders found in the areas in the heart of France. Limousin, Burgundy, the Central Loire Valley all are located here. Many lakes exist throughout these areas, making it a prime area for those who enjoy fishing. Those who like to sip a great glass of wine can also come to this region. Burgundy is a paradise for those who love wine as well as delectable food. In the eastern region of France you will find the areas that border Germany, Switzerland, Belgium and Luxembourg. The Franche-Comte is here, characterized by an amazing landscape of woods and rivers. Those who enjoy the great outdoors are certain to enjoy this region. There is a strong German influence in this region, which is prominent in the dialect, the cuisine and the architecture. It is a region that is peaceful and filled with beautiful small towns, rolling vineyards and more. Ardennes is in the region, and a hilly area with forests and waters to the south. It is here that champagne is created. In this region the temperatures are generally cooler in the winter. The locals are affluent, as this is the main gateway into Europe. Northern France is home to Nord-Pas-de-Calais, Dunkerque and Boulogne. The close proximity to Belgium has a heavy influence on the region. Here you will find windmills and canals covering large expanses of land. The local cuisine is an attractive part of the region, just as the world-renowned beer festivals that take place. The region is also rich in history. The First World War battlefields can be found in the area, which reveal a look at the horrors of times past. Picardy is also located in this part of France. The climate within this region resembles that of the UK and Paris. And then there is Paris. You cannot talk about France without first talking about Paris, the capital of the country. Paris has it all, and it is one of the most majestic capital cities in the entire world. The Eiffel Tower is located in Paris, as well as The Louvre. Paris exemplifies wealth and design, therefore the region is very expensive. There are endless cultural attractions found in Paris. As you can see there is something to love throughout the country of France. It is truly the place to be no matter who you are. Men and women, teens and children of all ages enjoy coming to France and experiencing things that can be found nowhere else in the world. Whether you are looking for mountains, lakes, history, sandy beaches or something else, France certainly has something to offer to everyone. France uses EUROs. You will need to exchange any money that you choose to bring with you from another country into EUROs before or after you arrive in the country. While France was once a largely agricultural state, things have changed since World War II and now there are many different industries that France is competent in. Around 35% of all of the land in France is occupied by orchards and vineyards. France leads the way in wine production as well. Forestry and fishing also rank highly as notable industries in the country, although this varies according to the location of France that you are in. Other notable interests in the country include iron and coal, as well as transportation of equipment and machinery. As you may imagine, tourism accounts for a very large proportion of the economy in France. France is one of the most popular tourist destinations in the world, bringing tens-of-millions of visitors each and every year. While most people come to experience the fabulousness of Paris, there are many other cities in the country that also offer a delight to those who visit. Arriving in Paris provides the chance to experience so very much. It is said that Paris is the city of love, and you can expect romance and love to always be in the air when you are in Paris. France is the most visited country in the world each year and those who choose to visit the country will certainly leave and head back home with a fond appreciation of the nation. Another important fact about France is that it is high on the list of best places in the world to attend university. Individuals of all ages can attend any of the fabulous colleges and universities in the country and expect to earn a great education. 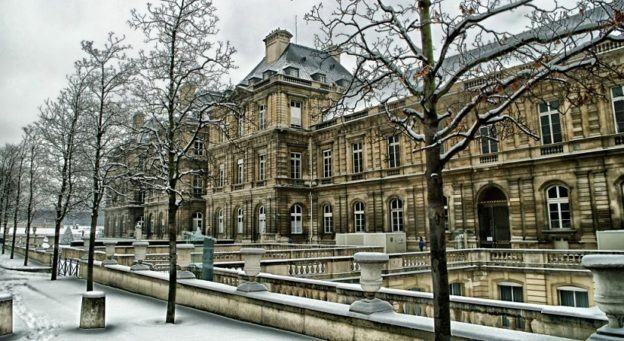 France is home to some of the best universities in the world, and the country leads the way in a number of industries. When it is a wonderful education that is desired, it is France that more people look to. There are so many reasons why people choose France, with the outstanding educational opportunities being the biggest. But, a cheaper cost of living, the area and other factors also influence the decision of people to attend a university in France. France is rich in history and culture. You can find people from all backgrounds and heritages in the country. The food in France is another benefit of being in the country. People in France are exquisite in every aspect of their life. This includes in the dishes that they prepare. When you taste authentic French cuisine you can experience something that will set your taste buds alight and help you discover flavours that you never knew existed. Paris is well-known for their upscale restaurants serving some of the finest food you will ever taste.